We, John and Margaret (owners and veterinary surgeons) have both worked in many clinics and in several different countries. We have experienced a wide variety of good and not so good veterinary practices. Our dream was always to find a clinic that was in a good community, one we could honestly feel was ours for the long term. Our dream clinic would be someplace to make our own and call home. 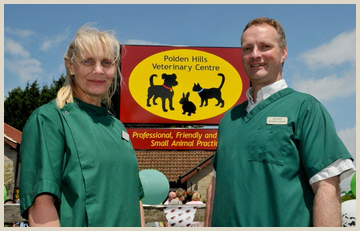 We found our dream clinic – Polden Hills Veterinary Centre! The Centre has many qualities that meet our dream clinic criteria. An important one of these qualities is that we are able to stay on the property. 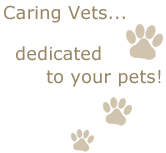 We strongly believe in the importance of providing 24 hour supervision of pet care and comfort, and be fully involved and invested in the staff and clients. Among the major renovations we made to the clinic, the upstairs area has been improved to allow for sleeping accommodation, in accordance with the planning permission granted in 2005. 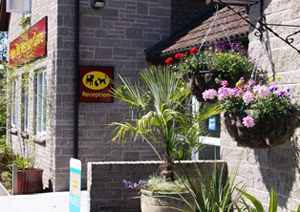 We are on the premises to take care of animals after hours – your pet will never feel abandoned while in our care! This unique 24 hour emergency service is something we are very proud of! The highest quality of care is our main guiding principle. 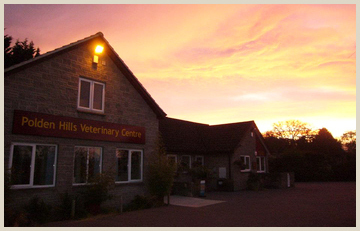 To achieve this, we made significant improvements and renovations to the facilities and to the veterinary practices. Improvements include the purchase of the latest equipment and digital x-ray machines throughout the clinic. We also added a fully equipped dental suite, an isolation ward, a Client Care room for privacy, pet visits and euthanasia, and we updated tomake the clinic wheelchair accessible and meet the latest fire regulations. We're happy to be serving our community with caring veterinary services.